Donna is a Creative Director who is known for her fire and passion. 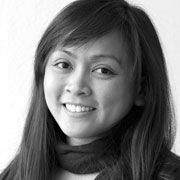 She is a winner of several local and international awards including Cannes Lions, Adfest, Spikes, One Show, LIA, Epica, Adstars, Boomerang, Kidlat, which lead her to become one of Philippines’ youngest Creative Directors. She always aims to create campaigns with lasting effects – whether to start a movement, influence pop culture, tell a memorable story, or a stuck-in-your-head song.